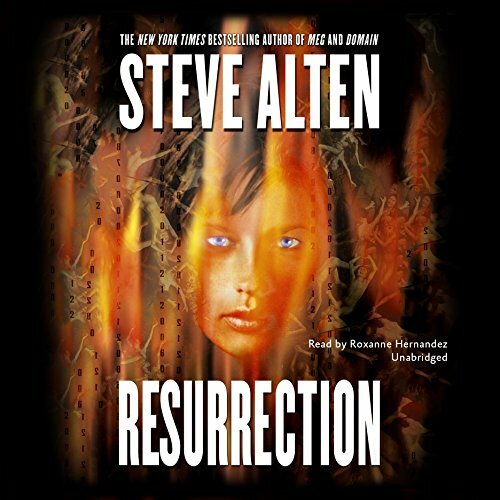 Résultats par auteur "Steve Alten"
Its appetite is ravenous. Its teeth scalpel-sharp. Its power unstoppable as it smashes the steel doors holding it in a Monterey, California, aquarium. 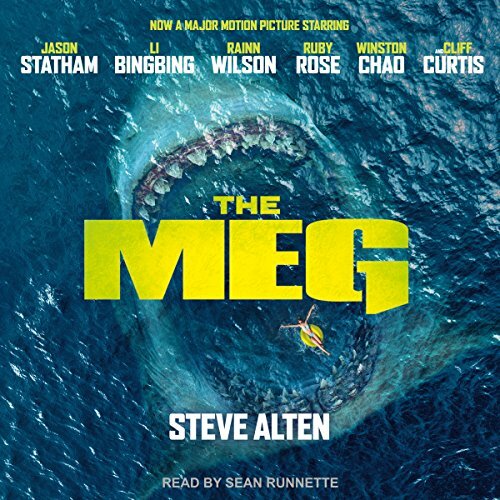 The captive 20-ton Megalodon shark has tasted human blood, and it wants more. On a top-secret dive into the Pacific Ocean's deepest canyon, Jonas Taylor found himself face-to-face with the largest and most ferocious predator in the history of the animal kingdom. 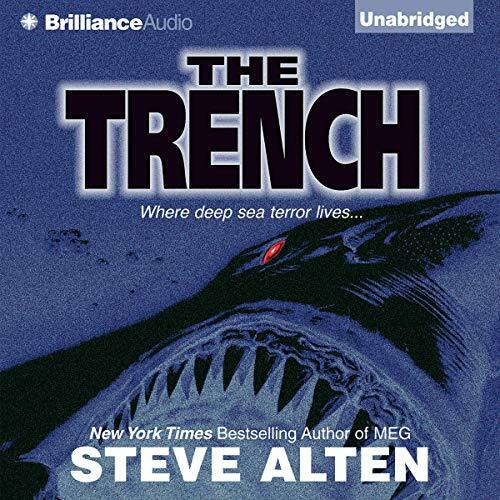 The sole survivor of the mission, Taylor is haunted by what he's sure he saw but still can't prove exists-Carcharodon megalodon, the massive mother of the great white shark. The average prehistoric Meg weighs in at twenty tons and could tear apart a Tyrannosaurus rex in seconds. 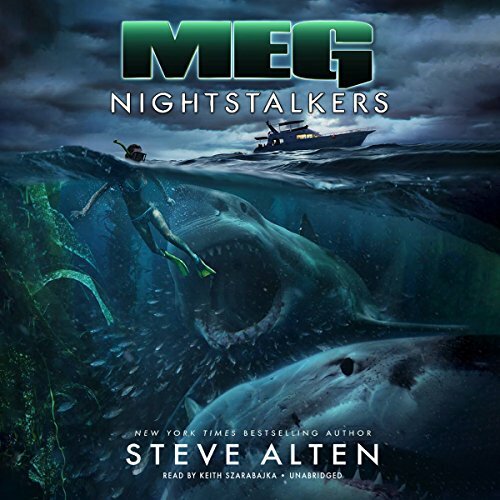 Book six in the best-selling Meg series picks up after Meg: Nightstalkers with David Taylor in the Salish sea, attempting to locate and rescue any surviving Megalodon pups before a local fisherman slaughters them. Meanwhile, Jonas is coerced into joining an expedition into the Panthalassa sea in search of a prehistoric predatory species possessing liver enzymes that can cure cancer. Eighteen years have passed since Jonas Taylor last crossed paths with Carcharodon megalodon. Now a middle-aged father of two, he is overwhelmed by mountains of bills and the daily strife of raising a family. But life is about to change. A Hollywood television producer wants Jonas to join his new survival series: Daredevils. For the next six weeks, two teams of crazy daredevils on a South Pacific Ocean voyage will try to outperform one another in front of the cameras. 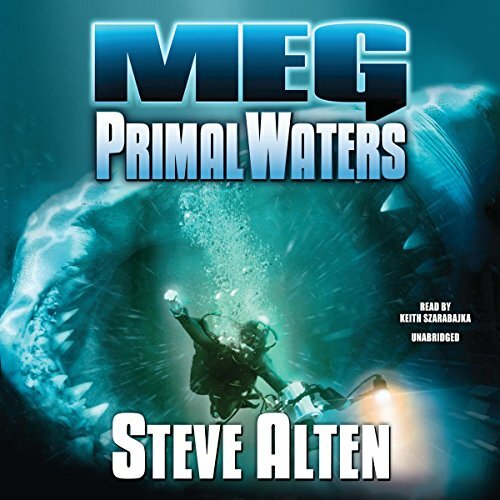 Bela and Lizzy, the dominant megalodon siblings from Angel's brood, have escaped the Tanaka Institute to roam the Salish Sea in British Columbia. 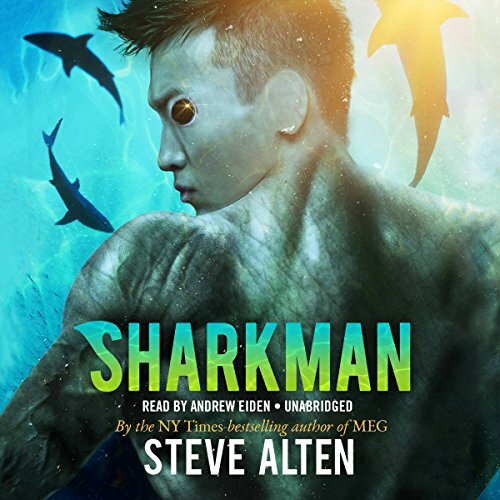 While Jonas Taylor and his friend Mac attempt to either recapture or kill the "sisters," Jonas' son, David, embarks on his own adventure, motivated by revenge. 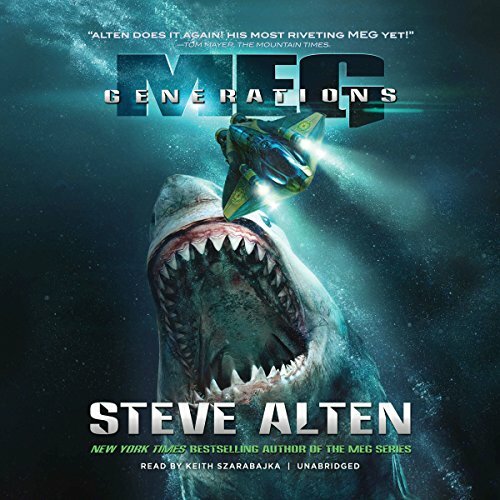 Having witnessed his girlfriend's gruesome death, David has joined a Dubai prince's ocean expedition, tracking the 120-foot, hundred-ton Liopleurodon that escaped from the Panthalassa Sea. East Antarctica: the coldest, most desolate location on earth. 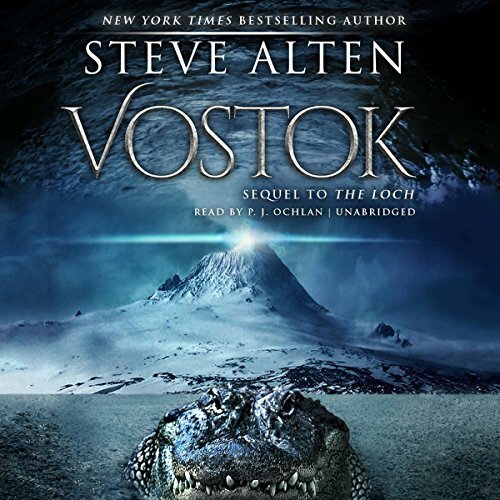 Two-and-a-half miles below the ice cap is Vostok, a 6,000 square mile liquid lake, over 1,000 feet deep, left untouched for more than 15 million years. 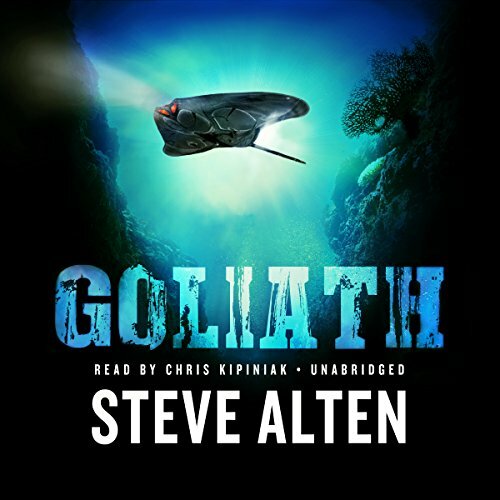 Now, marine biologist Zachary Wallace and two other scientists aboard a submersible tethered to a laser will journey 13,000 feet beneath the ice into this unexplored realm to discover Mesozoic life-forms long believed extinct - and an object of immense power responsible for the evolution of modern man. 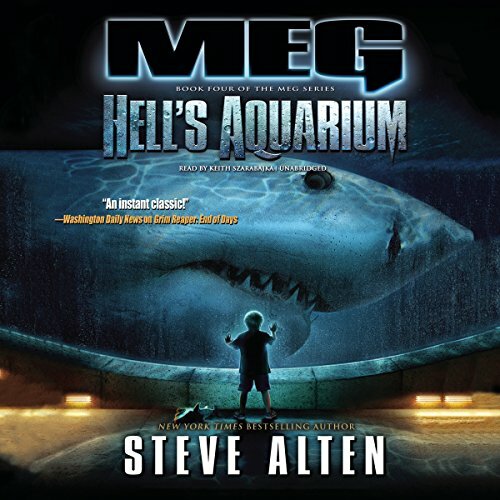 Tanaka Institute, Monterey, CA: Angel, the recaptured 76-foot, 100,000-pound Megalodon, has birthed a litter of pups - five females - far too numerous and aggressive to keep in one pen. One solution: a Dubai royal prince is building the largest aquarium in the world and seeks to purchase two of the "runts". The deal hinges on hiring Jonas Taylor's 21-year-old son, David, to be their trainer. Jonas reluctantly agrees, and David is off to Dubai for the summer of his life. a new perspective on the ocean. 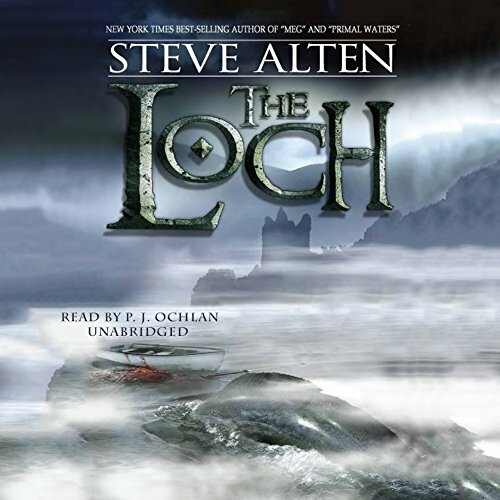 Loch Ness holds secrets, ancient and deadly. Does a monster inhabit its depths, or is it just myth? Why, after thousands of reported sightings and dozens of expeditions, is there still no hard evidence? Marine biologist Zachary Wallace knows, but the shock of his near-drowning as a child on Loch Ness have buried all memories of the incident. Now, a near-death experience suffered while on expedition in the Sargasso Sea has caused these long-forgotten memories to resurface. Dante's Inferno, his depiction of hell, was written while Europe was suffering through war, famine, the corruption of the Church, and the evils of the pogrom - the brutal massacre of countless Jews. 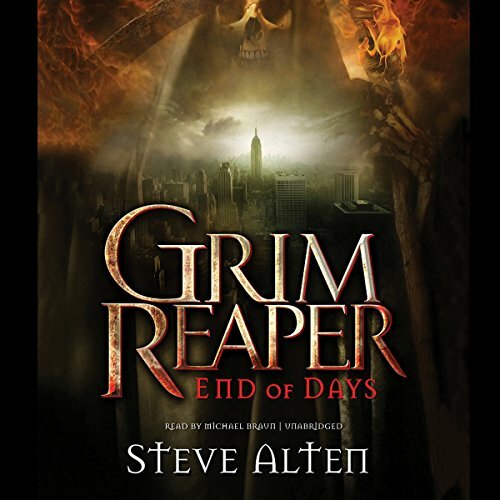 Shortly after Dante's passing, the black plague killed off half the world's population, an end-of-days-like event that birthed a legend depicted in paintings and dance: the Grim Reaper. What few people know is that Dante's poem draws inspiration from the Zohar, an ancient text that warns that the true end of days will be brought on by the corruption of man. 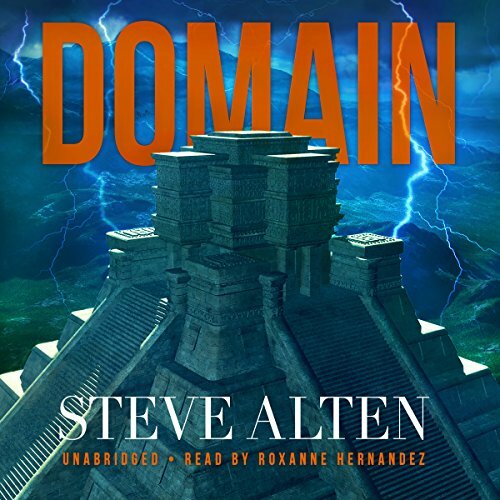 A veteran of the Iraq war is appointed undersecretary of defense in order to penetrate a secret government purposely black-shelving zero-point energy, a clean, abundant energy source reverse-engineered from downed UFOs. 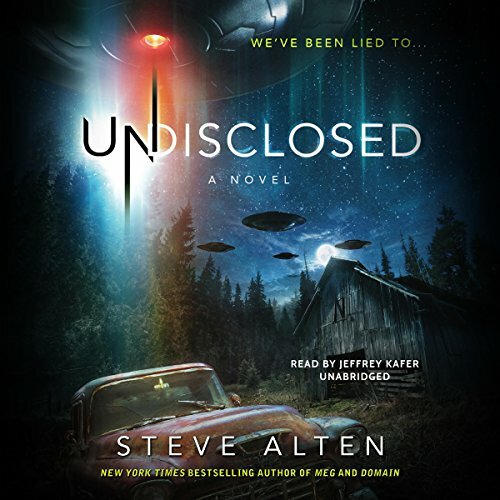 Steve Alten's Undisclosed is a mind-opening thriller of "faction" that incorporates testimonials from military and intelligence personnel who were actual eyewitnesses and participants involved in the greatest secret in history. For 2,000 years, the Mayan Calendar has prophesied the end of mankind on a date equating to December 21st, 2012. As that day approaches, greed, corruption, economic collapse, and violence seem to be pushing our species to the predicted brink of disaster. But there is another doomsday threat looming in our near future, a very real threat that can wipe out not only humanity but our entire planet. 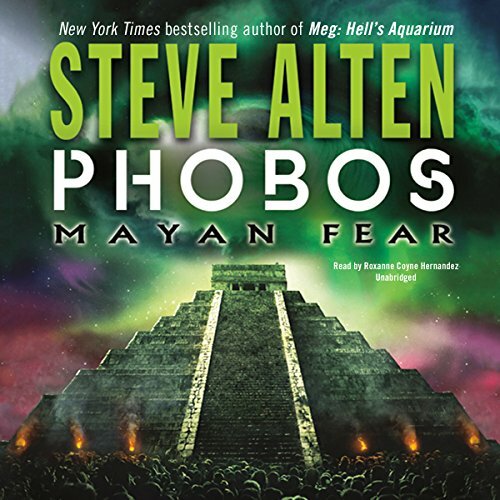 Phobos: Mayan Fear, Steve Alten's third book in the Mayan prophecy-based Domain series, is a doomsday rollercoaster ride of adventure. Terrorism. Acts of oppression. The threat of nuclear war. The US Navy-designed Goliath is a futuristic nuclear stealth submarine in the shape of a stingray. Simon Covah, a brilliant scientist whose entire family were the victims of terrorism, has hijacked the sub. Believing violence is a disease, Covah aims to use the Goliath and its cache of nuclear weapons to dictate policy to the world regarding the removal of oppressive regimes and nuclear weapons. Could the threat of violence forge a lasting peace? Schwarze Löcher, die unseren Planeten vernichten könnten - durch neuartige wissenschaftliche Experimente könnte diese Schreckensvision Wirklichkeit werden. 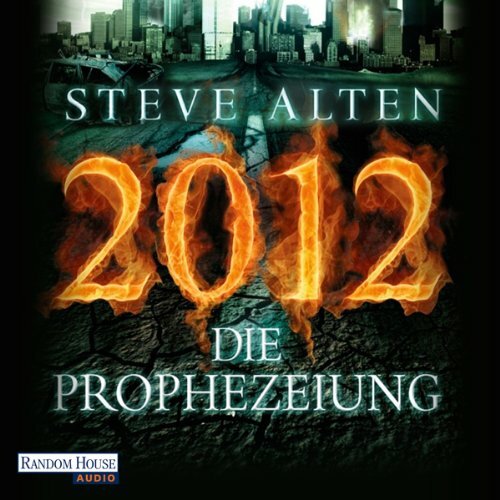 Ist dies die Katastrophe, die sich laut Prophezeiung der Maya im Jahre 2012 ereignen wird? Immanuel Gabriel, letzter Nachkomme der berühmten Forscherfamilie, ist der Einzige, der den Untergang verhindern kann. 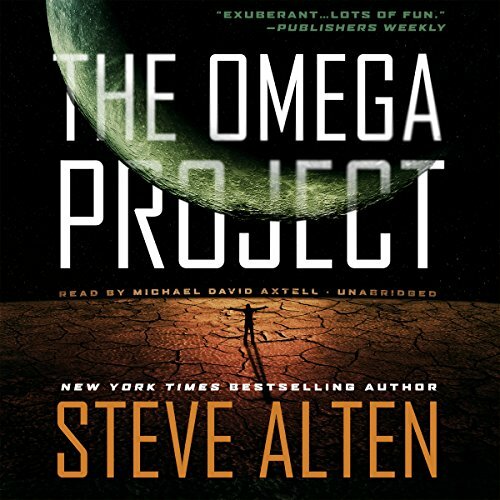 On the brink of a disaster that could end all human life on Earth, tech genius Robert Eisenbraun joins a team of scientists in Antarctica on a mission to Jupiter's moon Europa to mine a rare ore that can provide for Earth's long-term energy needs. But as he and the rest of the team train under the ice shelf in preparation for the long journey, trouble erupts. Before they embark, Eisenbraun finds himself the odd man out, and is put into cold sleep against his will. 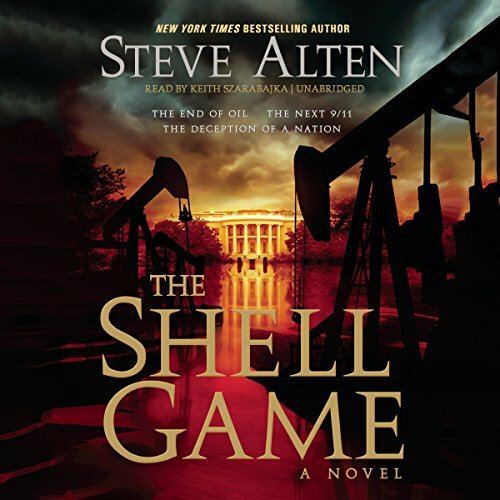 In 2007, two CIA spooks meet with an American colonel in military intelligence. The war is going badly, and President Bush, who steadfastly refuses to back down, remains unchallenged at home as Democrats and Republicans focus on the 2008 elections. Meanwhile, Iran's pursuit of nuclear energy will yield enriched uranium by 2012 - uranium that could be used to manufacture suitcase nukes. The US military is too drained to invade Iran, and a preemptive strike is out of the question. For 32 years archaeologist Julius Gabriel investigated the Mayan calendar, a 2,500-year-old enigma of time and space that predicts humanity will perish on December 21, 2012 (the winter solstice). Julius believes that certain mysterious sites represent pieces of a global puzzle linked to the salvation of our species. Ridiculed by his peers, Julius dies before he can solve the doomsday prophecy. Now only one person can prevent our annihilation: Julius' son, Michael, a patient locked up in a Miami mental asylum. What happens to us when we die? Is there really an afterlife? Do we possess souls? Does God exist? For Michael Gabriel the answers to these questions lie in another dimension, a realm of eternity where there is no concept of time, only pure life force, pure existence, and pure evil. Now, as was foretold 500 years ago in the Mayan Popol Vuh, Michael's sons are born: white-haired, azure-eyed Jacob, blessed with inhuman physical prowess, intelligence, and insight into the cosmos; and dark-haired Immanuel, who refuses his genetic calling, desiring only a normal life.